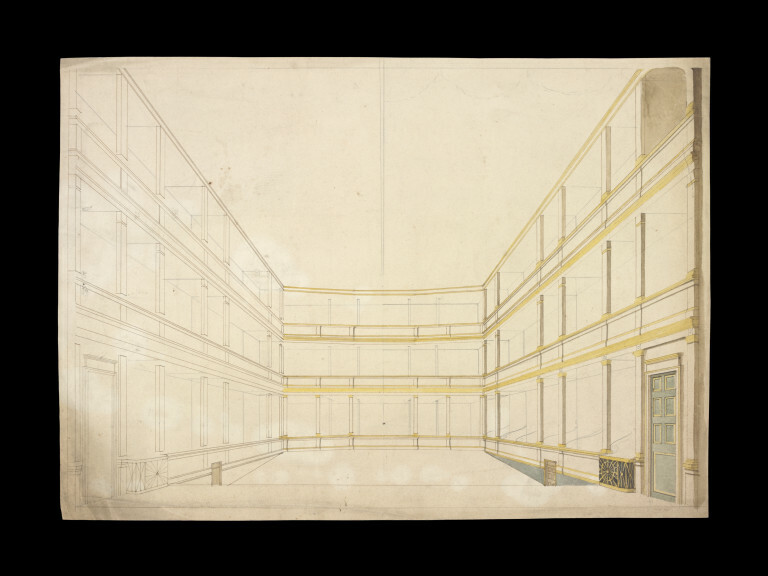 Although Mr. Samuel Beazley Jr. was the architect for the proposed alterations for the Theatre Royal Drury Lane in the 1820's, we learn from this collection that Mr Winston played an active role in the proposal alterations. It is unclear in certain items if he actually drew them himself or copied from original ones and added some notes. 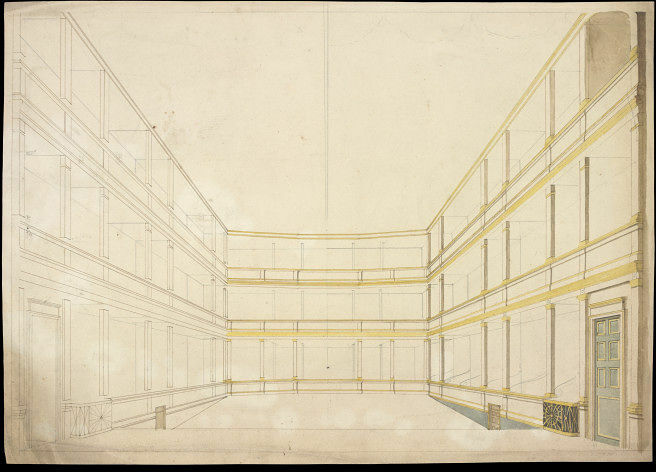 Longitudinal section of Beazley's alterations to auditorium of Wyatt's Theatre Royal Drury Lane. 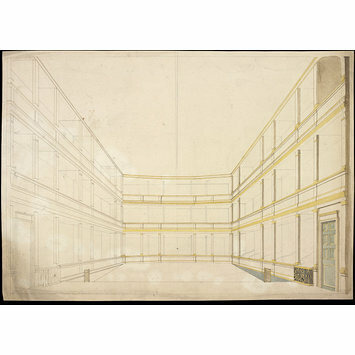 Auditorium as viewed from the stage, possibly of Wren's Theatre Royal Drury Lane, ca. 1820. Winston Collection.